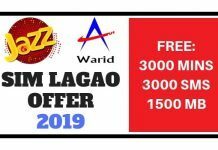 Zong Sim Lagao Offer is a free offer provided by Zong to its customer to get Free 3000 MB Internet, 6000 SMS and minutes by Reconnecting and Activating Zong off Sim. When the customer reconnects the band sim, they get free incentives. 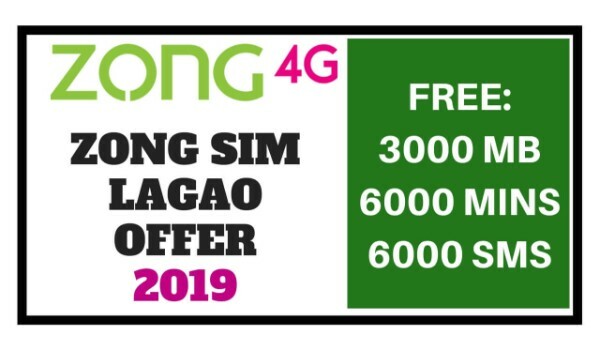 Zong offers Sim Lagao for those customers who have not used their sims for 30 days. Those who used their sim within 30 days are not eligible for this offer. 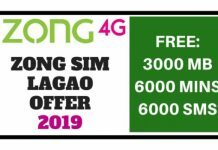 Note: Customers will receive 100 Zong FREE Minutes / 100 SMS / 50MB Daily internet for up to 2 Months (60 Days) on a daily basis. 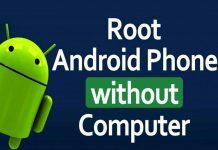 Don’t place your Zong Sim Directly into your Mobile Phone. Just Call 310 and ask for eligibility of the Offer. 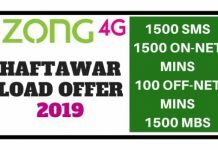 If you are eligible, then dial *2244# and subscribe to Zong Off SIM Offer. Make sure you have loaded Rs 50 before dialing the code. 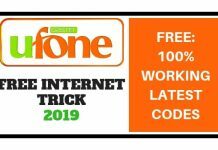 If you have successfully activated your Zong Sim Lagao offer 2019 and want to check free balance or want to check free minutes and free internet data, then dial below free code. Open it, and Register an account by entering your mobile number. Now, after logging in, click on My Details and you will get complete info. Zong now also offer 1GB Free Internet to its users by Installing My Zong App. 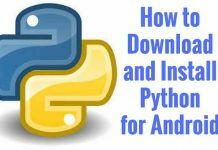 So also enjoy an additional 1GB Internet for free. Comment below if you face any issue in Sim Lagao Offer Activation. 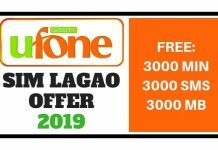 This was all about Zong Sim Lagao Offer 2019 Code, Don’t forget to share it with your friends and also comment your thoughts in the comments section below. Ap kisi aur sim se 310 par call krke unse apne sim ko unblock krwaye pehle. 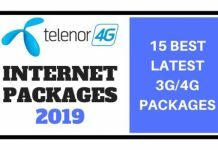 Very informative article it is on sim lagao offer. Thanks for sharing this. Sorry for the inconvenience, can you mention what problem you face? 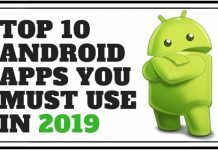 Aap dubara check kare… har roz alag alag free mints mb aur sms diye jatay he… ab be na mile ho to pir helpline pe rabta kare. Welcome dear. Keep visiting and exploring new packages and offers. Thanks for commenting dear, keep visiting. 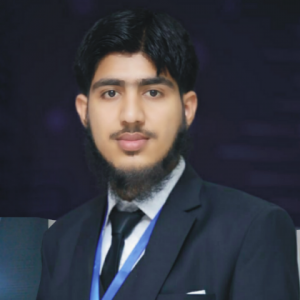 Dear, agr zong user ny 2 ya 3 months se sim use nahi ki ho aor sim gum gae ho to wo free Zong Sim haasil kar sakta hai ?? Agar aapka sim 3G tha to bilkul aapko 4G sim free denge.